It’s that time again when we have social engagements and parties crammed into the calendar, new dresses and outfits ready … yet its cold and miserable outside! Don’t worry we have the answer! If you are taking the edge off feeling the winter blues or you want an all over golden glow. Tan Drops are the perfect way to achieve a natural looking tan that’s just right for your skin tone without the nasty fake tan smell. Simple Steps to looking fantastic. 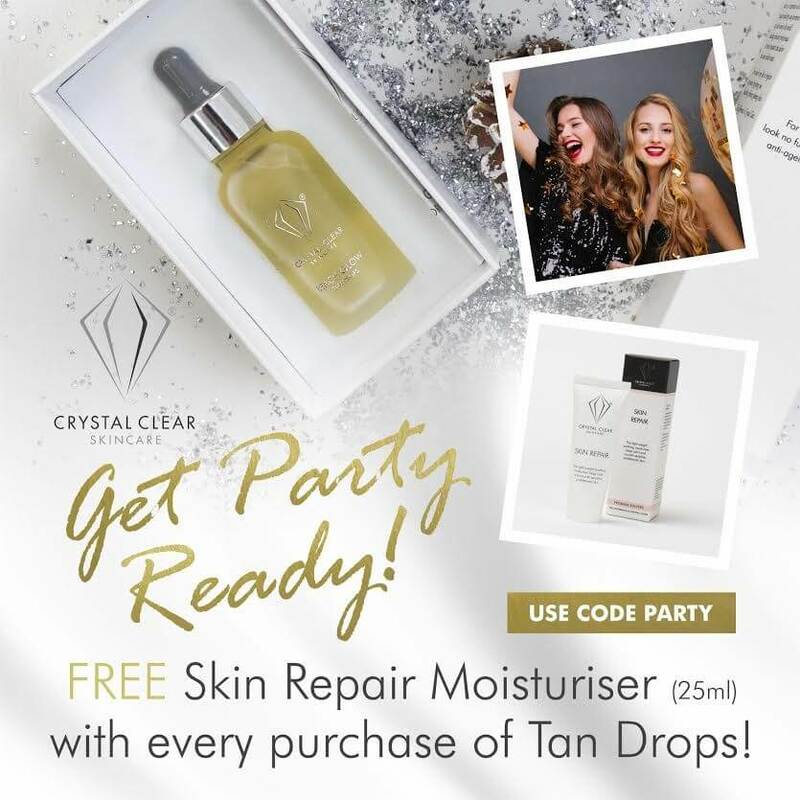 Order your Tan Drops today and receive a free gift of Skin Repair Moisturiser (25ml) worth £15.99 with your order*, simply use code PARTY at the checkout! Click here to order your tan drops and get the party started!